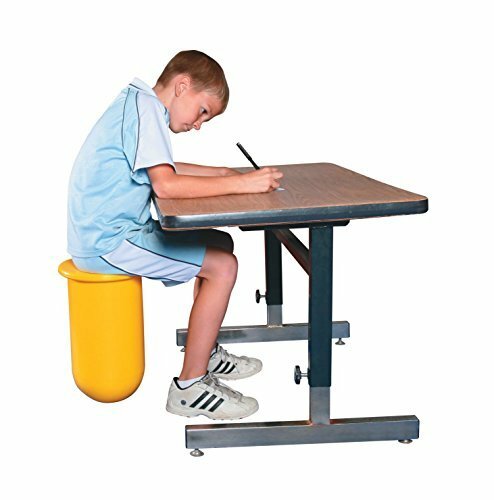 These unique Stabili-T-Stools bring t-stool creation to a whole new dimension. Each plastic tube, while it can balance on its end, provides a dynamic base of support that is ideal for sensory integration therapies and core balance training. Each stool measures 15" high (38cm) with a circular seat that fits all size bottoms. Ideal for classrooms, gyms, clinics, home, inside and out. Wipe clean. Color may vary. Capacity is 250 lbs. Abilitations Integrations. For use on carpeted floors or non-slip surfaces only.